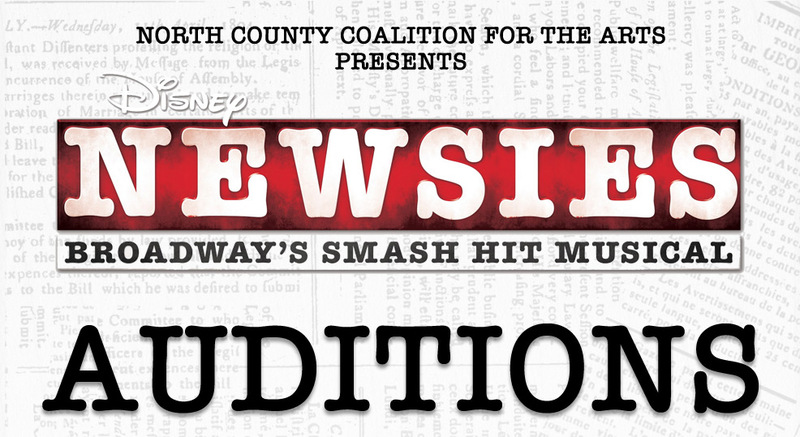 NoCCA > News > Art > NEWSIES Auditions! North County Coalition for the Arts Presents! Auditions will be held Saturday, January 12th at 8:00am – 12:00pm at Palmer Auditorium in Brawley, Ca. 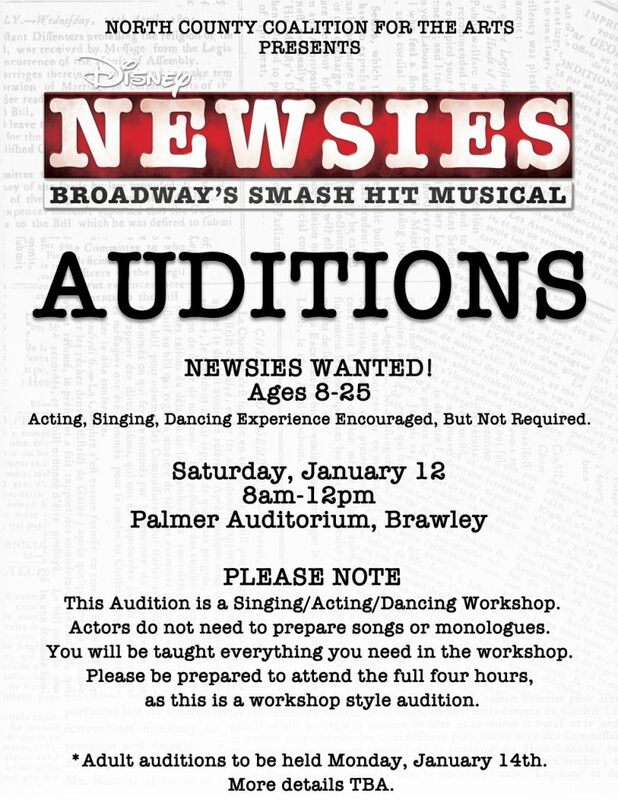 We will be auditioning for NEWSIES Ages 8-25. Looking for NEWSIES who have Acting, Singing and Dancing experience but not required. This Audition is a Singing/ Acting/ Dancing Workshop. Actors do not need to prepare songs or monologues. You will be taught everything you need in the workshop. as this is a workshop style audition. Audition will to be held Monday, January 14th 2019!